Nanostructure covers the major concepts and fundamentals of nanoscience and nanotechnology confirming characteristics, properties and applications of numerous nanostructures. Nanostructures is the significant source of reference for early-career researchers, practicing materials scientists and engineers seeking a focused overview of the science of nanostructures, systems of nanostructured, and their industrial implementations. Also the nanostructures refer to structures or materials that have at least one dimension falling in nanometer scale between 1 and 100 nm. The different sub-fields of nanotechnology focus on the fabrication (synthesis), characterization, and application of nanostructures. Clearly, there are two approaches to preparation or fabrication of the nanostructures which are bottom-up and top down. In addition to wide effort in the nanostructures fabrication, the present research and development of nanostructure are focused on the investigation of fundamental properties of materials such as, optical, electrical, and mechanical properties at the scale of Nano, and the development of novel implementations in broad domain of engineering fields. 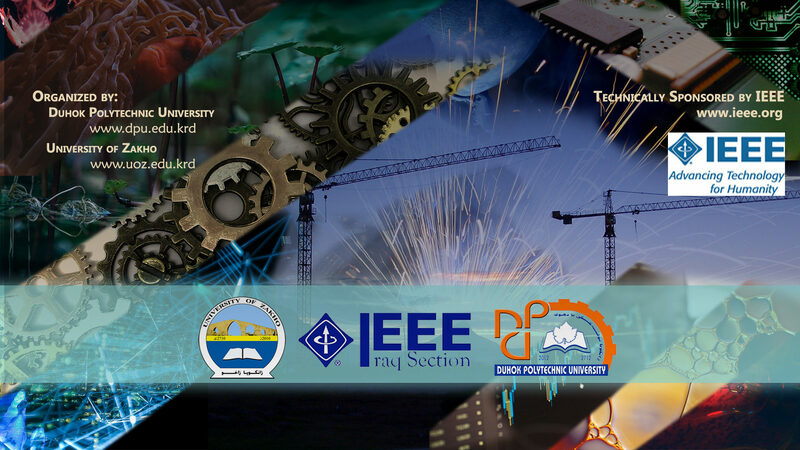 The goals of this workshop are to provide the excellent opportunity to present latest topics (Nanomaterials) and inexpensive methods or techniques of nanostructures fabrication (preparation) such as seed layer preparation and nanostructures growth with their implementations related to the field of nanoelectronic (optoelectronics) devices with discussion the key aspects of them. Internet of Things (IoT) is a huge number of objects they communicate over a network or the Internet. These objects are a combination of electronics, sensors, and a software to control the way of working other parts of the object. Each object generates and collects data from its environment using sensors and transfer to other objects or a central database through a channel. Keeping this generated data and its transformation is one of the biggest challenges in IoT today and it is one of the biggest concerns of all organizations that they use IoT technology. In this workshop, we will start by introducing Internet of Things, then we will give some examples of IoT such us Smart Home, and finally we will talk about IoT Security and Challenges. IoT Security ranges from the software layer security, board and chip, vulnerable cryptography algorithm, protocol and network security, social engineering, malware like (viruses, ransomware, trojan horses). As there are a variety of IoT devices and the rapid emergence of new devices, it is difficult to measure the security of IoT systems and identify risks and vulnerabilities. Partial shading of photo voltaic panels can highly degrade their performances and paralyse them from producing any significant energy. In extreme cases, a permanent damage can be inflicted on the system that can lead to out of service situation. In this workshop, a faulty system is analysed from electrical circuit point of view by using photo voltaic cells equivalent circuit. At the same time the problem is modeled on MATLAB simscape and the results are compared with theoretically obtained ones. Machine Learning (ML) algorithms have provided successful methods to obtain prediction models and algorithms from large databases. Methods such as neural networks, Bayes Naive and support vector machines have produced a big deal of empirical success at different disciplines. Understanding ML algorithms preliminary depend on understanding the mathematical methods and statistical inference used to build such algorithms. The intention of this workshop is to bring together Computer Scientists, Statisticians and Mathematicians working at the field of Machine Learning and formalized statistical theory. We hope this workshop can provide a forum for researchers to help them in applying new mathematical learning techniques to solve problems in their disciplines.